The scholarship supports one student from India and covers the tuition fees for a Master's programme at London Metropolitan University. The scholarship will be awarded to the most outstanding postgraduate student on the basis of excellent academic performance in India. The recipient must also demonstrate the potential for leadership and social change as exemplified by Gandhi. - have an unconditional offer to study at London Met on one of London Met's Master's courses. - have 80% or above in Class X. - have 80% or above in Class XII. 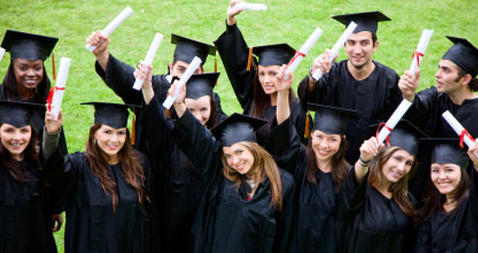 - have a First Class Honours Bachelor's degree from a good Indian university. - have an overall IELTS score of 7.5 with a minimum of 7.0 in each component or SELT equivalent. - be a national of India. The deadline to submit a scholarship application form is 30 April 2015 for the September 2015 intake. The GREAT - LondonMet Scholarships – India 2015 is designed to help outstanding applicants from India to study a one year Master’s degree at London Metropolitan University. Each scholarship covers up to £4,950 in tuition fees, the remaining tuition fees as well as maintenance costs need to be funded by the student. The deadline to submit a scholarship application form is 31 May 2015 for the September 2015 intake. Applicants who have a conditional offer when applying for the scholarship must submit all the required documents to meet any conditions of their offer by 8 June 2015. London Metropolitan University and International Students House (ISH) are pleased to announce a joint scholarship programme for international students.The scholarship programme offers a full tuition fee scholarship to study one of London Met's Master's programmes. The scholarship also includes one year's free accommodation at International Students House. Applications from countries other than those listed will not be considered for an ISH scholarship. - have a First Class Honours degree or the highest accolade for your degree. - have an overall IELTS score of 7.0 with a minimum of 6.5 in each component or SELT equivalent. - be a national of one of the countries listed above. Non EU international fee paying students joining the following courses will be considered for a postgraduate course partial scholarship of £2,000. This partial scholarship is for the academic year 2015-16 only, and cannot be used in conjunction with other partial scholarships. If the applicant is eligible for any other London Metropolitan partial scholarships, they may only receive one of these scholarships, usually the highest value scholarship. The partial scholarship amount will be deducted from the final fee payment.